Frank McIntyre, has practiced law since 1991, His practice is litigation based and he takes pride in providing timely, responsive and professional personal service. Mr. McIntyre has handled a variety of matters from inception through trial, including business to business, contract, commercial, matrimonial, personal injury, estate, real property, real estate, landlord/tenant, construction and employment litigation. Mr. McIntyre handles both State and Federal Court matters. Recently, Mr. McIntyre successfully litigated: a multi-million dollar business to business breach of contract claim; international business disputes regarding the alleged receipt as well as the alleged shipment of defective products; several personal injury matters; consumer fraud and breach of contract litigations involving the sale of residential real estate and claims against the home and termite inspectors, the realtor and the prior owner; residential contractor lien claim against homeowners; several personal injury claims; several contract claims, numerous matrimonial matters; and several estate litigation involving estates valued over 1 Million Dollars. 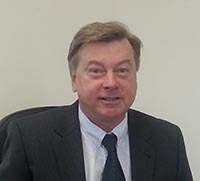 In addition, Mr. McIntyre has successfully mediated matrimonial disputes by guiding parties to fair and reasonable resolution of the distribution of their assets and determining acceptable support levels. Mr. McIntyre is a seasoned contract negotiator having negotiated corporate acquisition, employment, and severance contracts as well as contracts for professional athletes. Mr. McIntyre acts as corporate counsel for several small businesses, including one business with annual sales over 40 Million dollars. Mr. McIntyre is an approved Economic Mediator for Divorce matters and serves to mediate family and general matters. 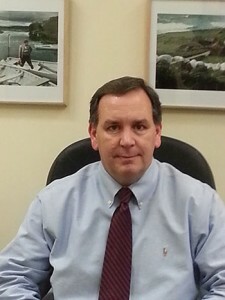 Mr. McIntyre has served as the Assistant Township Attorney for the Township of Union NJ since 2005. His duties include preparing and approving public bids and contracts, negotiating and preparing contracts, responding to claims against the Township, working with the Township’s administration, clerk, health, fire and police departments. Mr. McIntyre is a graduate of Catholic Univ. Law School and Providence College (degree in Biology). He was previously associated with: Podvey Sachs, Meanor, Catenacci, Hildner & Cocoziello; the Law Offices of Steven R. Lehr; and the Law Offices of Lane M. Ferdinand. He is a member of the New Jersey Bar, New Jersey State Bar Association New Jersey Association of Professional Mediators and Union County Bar Association. Catholic University of America, Columbus School of Law, Washington, District of Columbia, 1991, J.D. Providence College, Providence, Rhode Island, 1988 B.A. 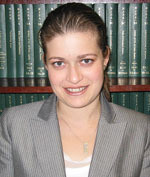 Marina Kirshenbaum, Esq. is a highly motivated energetic bi-lingual (Russian) attorney with an impressive experience in a variety of law areas, including Health Care Law, Elder Law, Trusts and Estate, Immigration, and Matrimonial matters. Licensed in New Jersey and in New York, Ms. Kirshenbaum offers her clients highly professional service in a punctual and courteous manner. Throughout her career, Ms. Kirshenbaum held positions at prestigious accounting and legal firms and amassed an impressive experience that she brings to the private practice. During her work at a Roseland, NJ-based accounting firm of Schonbraun, Safris, McCann, Bekritsky & Co., P.C., she gained invaluable experience in individual and corporate taxation. Employment at one of the most prominent Trusts and Estates law firms in New Jersey, Deener, Feingold & Stern, P.C., equipped Ms. Kirshenbaum with the extensive knowledge in dealing with the most complex issues in the area of Trusts and Estates Law. Ms. Kirshenbaum also completed an internship in the Manhattan branch of the Office of the Chief Counsel of the Internal Revenue Service (IRS). Ms. Kirshenbaum has a particular interest in legal representation of health care professionals. This interest arose when her husband, a urologist, had to deal with complexities of medical and insurance contracts at the end of his residency. At present, Ms. Kirshenbaum dedicates a lot of her work to reviewing medical employment contracts, partnership agreements and estate planning for young and established physicians and dentists. Ms. Kirshenbaum is a graduate of Rutgers University School of Business with dual degrees in Accounting and Economics. She received her Juris Doctor degree from New York Law School. In law school, she concentrated her studies in the areas of Estate and Succession Planning, Elder Law and Tax Law. New York Law School, New York, New York, 2001, J.D. Rutgers University School of Business, 1998, B.S. Timothy Shafer, Esq., has joined the firm of Francis D. McIntyre, PC, in an Of Counsel position. Mr. Shafer received his Juris Doctorate from Rutgers Law School in Newark, NJ in 1988. While still in law school he interned with the Hon. Thomas F. Shebell, Jr., an Appellate Judge in the Superior Court of New Jersey, researching and preparing memoranda on a wide variety of civil and criminal appeals. Also while in law school, Mr. Shafer served as a research editor for the Law Review, and published a Law Review article in 1987-88 entitled State v. Tischio; Drunk Driving and Due Process Don’t Mix, Rut., Vol. 42, L.Rev., Spring 1988. Immediately following graduation, Mr. Shafer served a one-year clerkship for the Hon. Peter B. Cooper, J.S.C., Law Division, Essex County. There, he was responsible for reviewing dozens of motions on a weekly basis, making recommendations to Judge Cooper as to their disposition, and prepared jury instructions and drafted opinions on a regular basis. Mr. Shafer gained valuable litigation experience watching skilled attorneys try their cases, argue their motions, and while sitting in with Judge Cooper and attorneys during settlement negotiations, pre-trial and trial motions. After his clerkship, Mr. Shafer joined as an associate the firm Podvey, Sachs, Meanor, Catenacci, Hildner & Cocoziello, in Newark, New Jersey. There, he became a litigator, handling all aspects of insurance defense and subrogation cases, from filings, discovery depositions to settlement when appropriate, or to trial if necessary. These cases primarily pertained to simple and complex property damage, personal injury, and questions of insurance coverage. Mr. Shafer’s duties also included personal injury cases from the plaintiff’s perspective, contract issues, and municipal court and landlord-tenant matters. Mr. Shafer successfully argued a pro bono case before the New Jersey Supreme Court, an unreported case which concerned exclusion of evidence in a criminal matter. After a number of years of practice, Mr. Shafer put his career on hold to raise his two young children. Tim enjoyed this immensely, and along the way became a licensed soccer coach, coaching both girls and boys, from ages 6 to 18. Rutgers University Law School, 1988, J.D. Margaret “Peggy” Jurow, has joined the firm in an “Of Counsel” position. Peggy concentrates her practice in representing consumers in bankruptcy, foreclosure defense, defense of debt collection matters, and prosecution of affirmative consumer claims and litigation. Peggy is a frequent lecturer on Consumer Law issues and a member of the National Association of Consumer Advocates. Peggy was formerly the managing member of Jurow & Schore, LLC. She has served as a consultant to the Seton Hall Center for Social Justice, Civil Litigation and Practice Clinic. Peggy was the recipient of the 2018 Essex County Bar Association, Bernard A. Kuttner Pro Bono Attorney Award. Peggy represented amicus parties in the New Jersey Supreme Court Case, GMAC v. Willoughby, 230 N.J. 172 (2017). Peggy co-authored, Helping Homeowners Pay their Mortgages and Stay in their Homes in Contested Foreclosure Cases, April 2014, New Jersey Lawyer. Peggy also contributed to The Woman Advocate, Second Edition, Chapter 19 “Life in a Public Interest Organization” edited by Abbe Fletman and Evelyn Storch. Peggy was a trial attorney for several years with the U.S. Department of Justice, Office of the United States Trustee. During her service, she litigated on behalf of the United States Trustee in a broad spectrum of bankruptcy matters. She also was a member of the Bankruptcy Fraud Task Force. 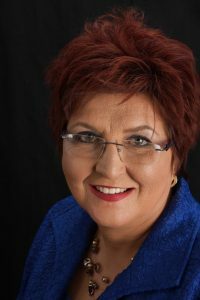 Peggy was formerly a partner and director at Podvey Meanor where her practice was concentrated in commercial litigation. Rutgers University Law School, 1989, J.D.